Angel Initial Keyring - Charm Style, Personalised Gift Idea. Themed Charm Keyring featuring an Initial Charm. 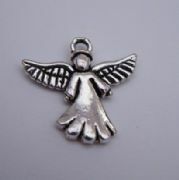 Angel Keyring - Charm Style. Lovely Charm Keyring Gift Idea. Angel B Keyrings - Beaded Style, available in different colours. Lovely Charm Keyring Gift Idea. Angel B Keyrings - Sparkle & Bling Style, available in different colours. Beautiful Charm Keyring Gift Idea. Angel Personalised Keyring available in different colours. Lovely Personalised Gift Idea featuring a Name, Word, Date or Short Message. Angel Wings With Heart Initial Keyring - Charm Style, Personalised Gift Idea. Themed Charm Keyring featuring an Initial Charm. 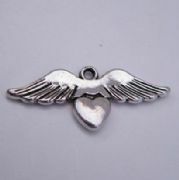 Angel Wings With Heart Keyring - Charm Style. Lovely Charm Keyring Gift Idea. Angel Wings With Heart Keyring - Triple Charm Style, featuring your choice of Three charms. Lovely Unique Gift Idea. Angel Wings With Heart Personalised Keyring available in different colours. Lovely Personalised Gift Idea featuring a Name, Word, Date or Short Message. Detailed Angel Initial Keyring - Charm Style, Personalised Gift Idea. Themed Charm Keyring featuring an Initial Charm. 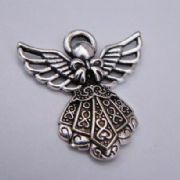 Detailed Angel Keyring - Charm Style. Lovely Charm Keyring Gift Idea. Detailed Angel Keyring - Triple Charm Style, featuring your choice of Three charms. Lovely Unique Gift Idea. Angel Keyrings - Beaded Style, available in different colours. Lovely Charm Keyring Gift Idea. Angel Keyrings - Sparkle & Bling Style, available in different colours. Beautiful Charm Keyring Gift Idea. 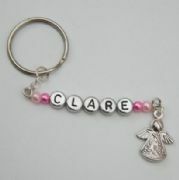 Detailed Angel Personalised Keyring available in different colours. Lovely Personalised Gift Idea featuring a Name, Word, Date or Short Message. Large Angel Initial Keyring - Charm Style, Personalised Gift Idea. Themed Charm Keyring featuring an Initial Charm. 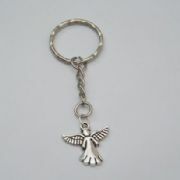 Large Angel Keyring - Charm Style. Lovely Charm Keyring Gift Idea. Large Angel Keyring - Triple Charm Style, featuring your choice of Three charms. Lovely Unique Gift Idea. Large Angel Keyrings - Beaded Style, available in different colours. Lovely Charm Keyring Gift Idea. Large Angel Keyrings - Sparkle & Bling Style, available in different colours. Beautiful Charm Keyring Gift Idea. Large Angel Personalised Keyring available in different colours. Lovely Personalised Gift Idea featuring a Name, Word, Date or Short Message. Large Angel Wings Initial Keyring - Charm Style, Personalised Gift Idea. Themed Charm Keyring featuring an Initial Charm. 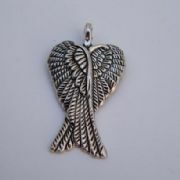 Large Angel Wings Keyring - Charm Style. Lovely Charm Keyring Gift Idea. Large Angel Wings Keyring - Triple Charm Style, featuring your choice of Three charms. Lovely Unique Gift Idea. 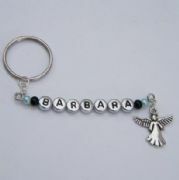 Large Angel Wings Keyrings - Beaded Style, available in different colours. Lovely Charm Keyring Gift Idea. Large Angel Wings Keyrings - Sparkle & Bling Style, available in different colours. Beautiful Charm Keyring Gift Idea. Large Angel Wings Personalised Keyring available in different colours. Lovely Personalised Gift Idea featuring a Name, Word, Date or Short Message.